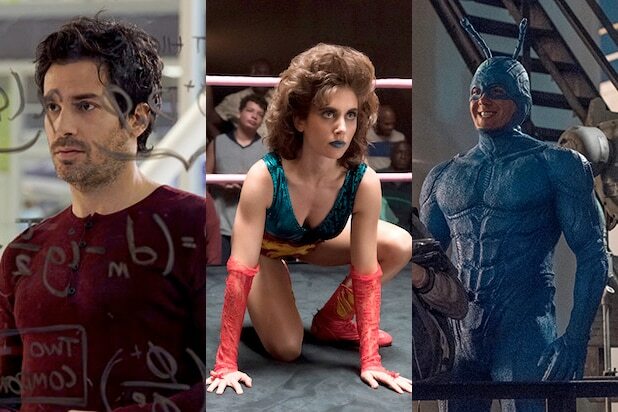 From "Glow" to "Snowfall" to "The Bold Type," here are the new summer TV shows worth your time -- plus one can't-miss returning favorite. "Glow" (Netflix)Friday, June 23Big hair, don't care, Netflix brings Alison Brie back to television with a comedy set in the world of women's wrestling in the 1980s. "The Bold Type" (Freeform)Tuesday, July 11 at 9 p.m.Young female writers grow and bond and face trials and tribulations in New York City. Perfectly timed in this age of Teen Vogue activism. "Snowfall" (FX)Wednesday, July 5 at 10 p.m.This Los Angeles-set 1980s drama about the rise of the cocaine industry is set to join FX's stellar lineup of premium programming. "Gypsy" (Netflix)Friday, June 30Naomi Watts is the latest movie star to try her hand at TV, in this intriguing thriller/drama. "Salvation" (CBS)Wednesday, July 12 at 9 p.m.CBS gets pretty crazy for its summer shows, and "Salvation," about the literal end of the world, seems like no exception. "Midnight, Texas" (NBC)Monday, July 24 at 10 p.m."True Blood"-style fantasy comes to NBC with this adaptation based on the vampire series author's books. "Room 104" (HBO)Friday, July 28 at 11 p.m.The Duplasses' "Togetherness" may have been canceled way too soon, but the duo is back at HBO with an appealing new series, set in a single hotel room. "The Defenders" (Netflix)Friday, Aug. 18Daredevil, Luke Cage, Jessica Jones and Iron Fist finally -- finally -- team up in Netflix's latest Marvel series. "The Tick" (Amazon)Friday, Aug. 25The 7-foot, 400 pound giant blue superhero is here in a new comedy series, and fans are already salivating. "Game of Thrones" (HBO)Sunday, July 16 at 9 p.m.We know we don't have to tell you to watch "Game of Thrones."